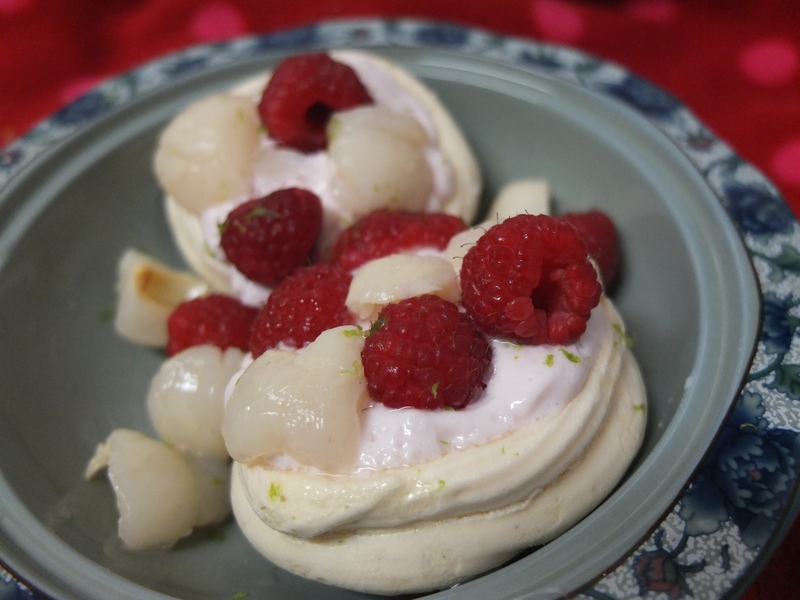 Ispahan lychee, raspberry and rose meringue nests recipe for Chinese New Year! Don’t panic! It’s all under control! Yes, it’s ‘run-like-a-headless-chicken’ time for food bloggers as we attempt to cope with Valentine’s Day, Pancake (Shrove) Tuesday and Chinese New Year all within the same week! Globalisation has led us into an almost constant state of celebration. Hurray! And aaargh… I’ve only been blogging 7 weeks and I’m still dealing with the technology! Breathe, breathe. No, got to eat some cake. It’s the only way (cake pause and yes I have considered yoga). Aha! 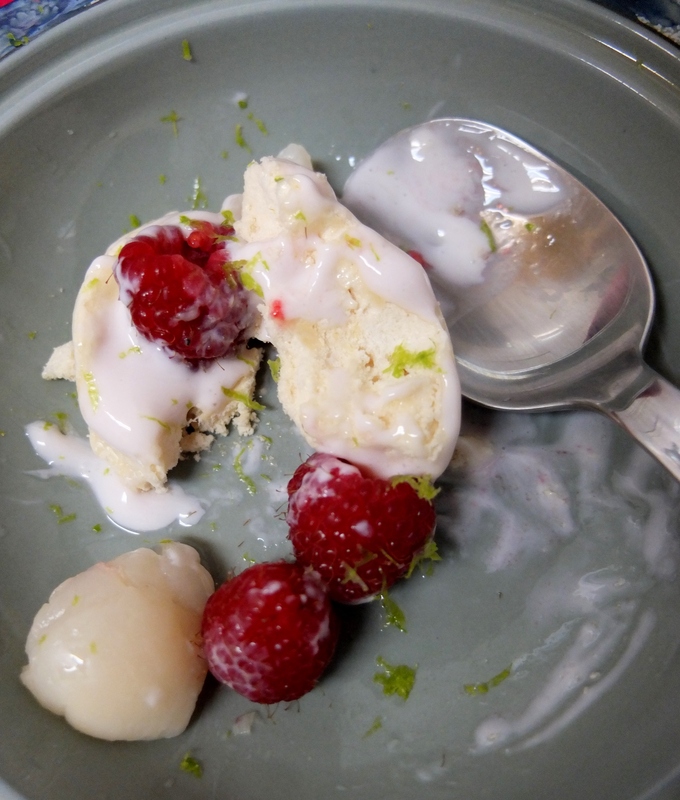 Finally an ingenious plan: little meringue nests filled with a quark-based rose and lychee cream, topped with raspberries and lychees then sprinkled with lime zest. All very simple and inspired by the Picasso of French pâtisserie. Phew! Panic over. Thanks Hermé! Hermé’s the creator of Ispahan, a combination of flavours that has influenced pâtissiers worldwide: rose, raspberry and lychee. Ispahan is actually a type of rose named after the city of Isfahan in Iran, famous for its gardens and roses. But for Hermé it’s a magical poetry of flavours, and on his Ispahan creations he lovingly places delicate rose petals glistening with drops of liquid glucose. You can catch a glimpse of his creations here. I have an affection for Ispahan. My mum gave me the beautiful Ispahan baking book as a present and many of my family in France have acquired it. 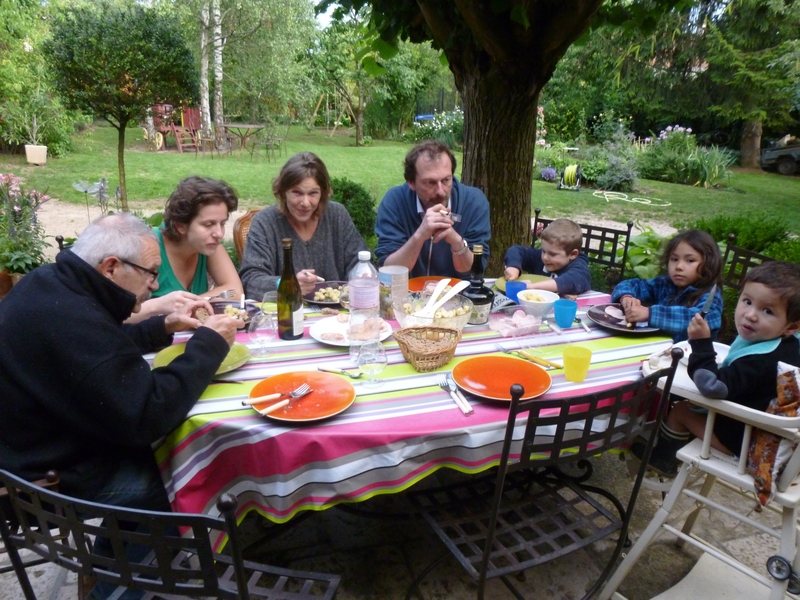 We’re from French peasant stock and my uncle is getting on but still has a bit of a farm mentality. Just out of hospital he’ll be digging away in the garden, lugging stuff around, getting wine out of the cellar and building something, with his family trying unsuccessfully to restrain him. 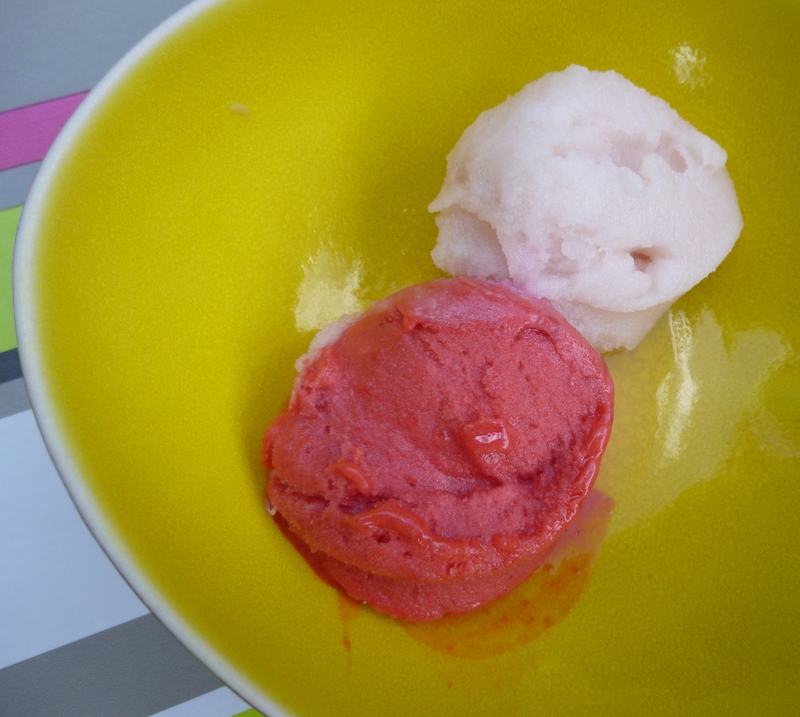 But last summer when I was visiting he also found time to make an Ispahan sorbet for the family meal! I am still so impressed. Although Ispahan was born in France, lychees are a dessert staple in the traditional Chinese restaurant. As it so happens, on the other side of the family my grandfather set up one of the first Chinese restaurants in central London: Choys of Soho. Way back. I remember the red lanterns and clambering up on a chair to meet my first bowl of ice-cold lychees nestling in refreshing syrup. Not everyone is impressed with canned lychees, but I still have a soft spot for them. Imagine my delight when they turned up in Ispahan! 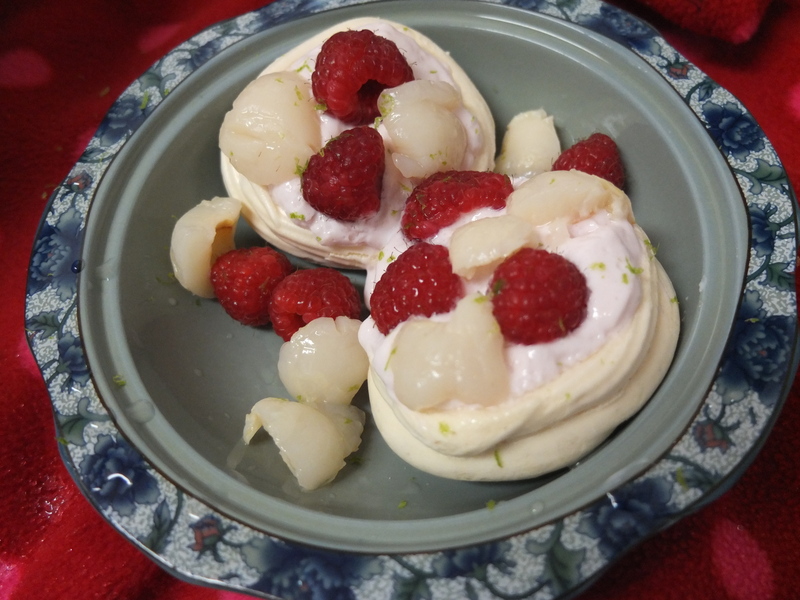 I’ve added a sprinkling of lime zest to help the raspberries counterbalance the sweetness of the Ispahan meringue nests. But this is a fairly flexible recipe, so feel free to add or take away elements from the nest depending on taste or what’s in your kitchen! I initially tried to make these nests with xylitol (natural sugar substitute) but they stayed stubbornly sticky, so I’m afraid these are the sugar version based on a ‘Roux brothers on pâtisserie‘ classic recipe. They suggest you should always have a few prepared meringue nests around to whip up amazing desserts for impromptu meals, so your diet plan could be: don’t eat all of these but store some! Ahem.. Prepare a baking tray (30x40cm) – place baking paper on it and grease very lightly with light olive oil or vegetable oil. Get your nozzle and disposable piping bag ready. 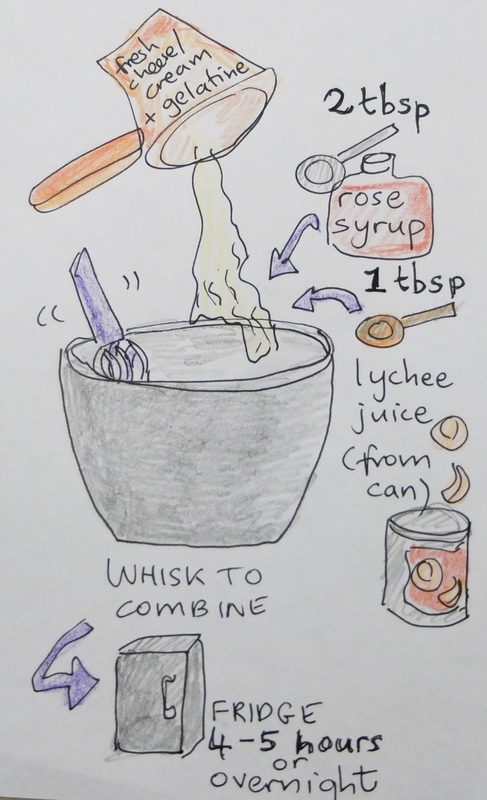 In a clean bowl whisk the egg whites to soft peak, preferably with an electric whisk or stand mixer. Add the caster sugar gradually till you have a smooth glossy meringue. Keep beating for at least 5 minutes, or 10 minutes by hand. 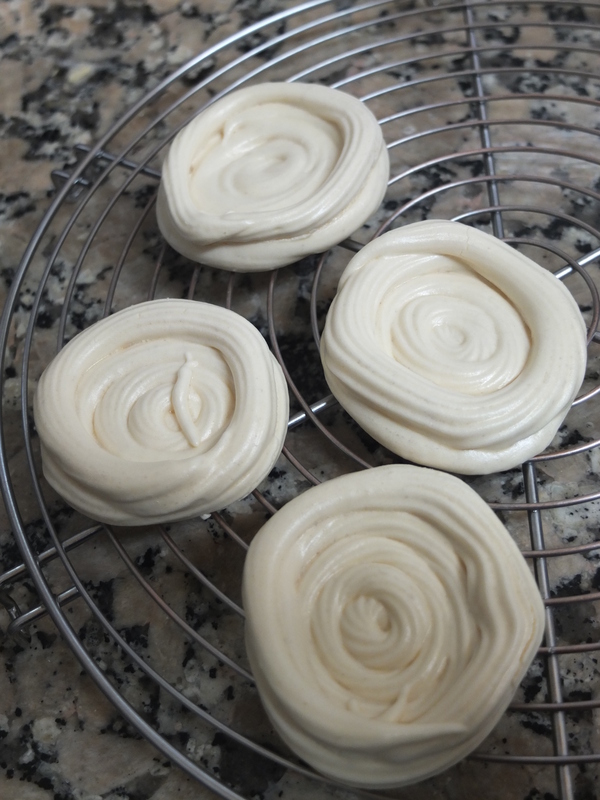 You want a really stable-looking meringue that keeps its shape. 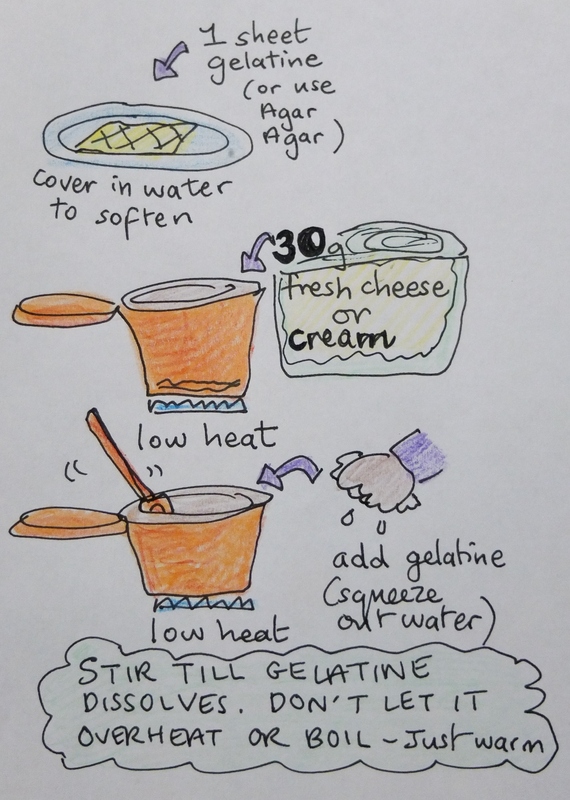 Gradually and gently fold in the icing sugar with a rubber spatula or slotted spoon, till just combined (don’t overmix). 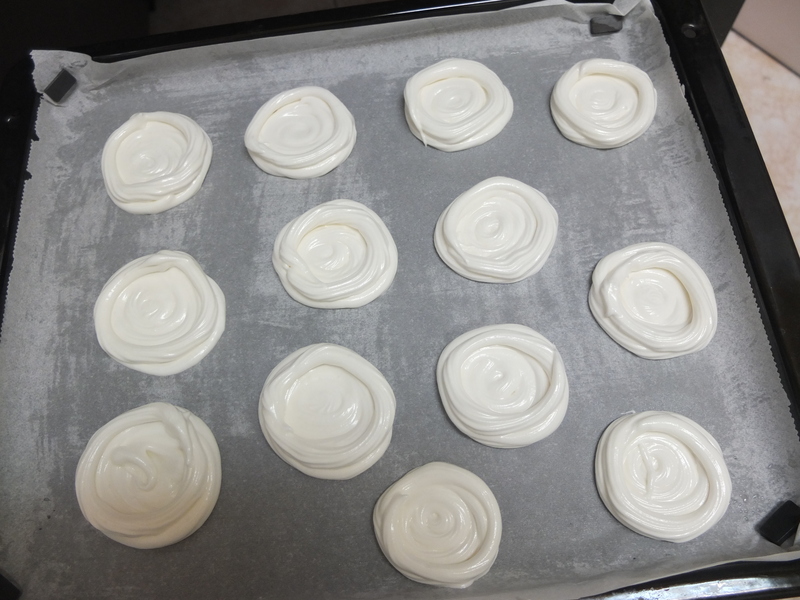 Immediately pipe the meringue nests with a fairly small decorative nozzle (so your nests aren’t too thick) on the oiled baking paper/tray. Place in the oven and immediately lower the heat to 100°C (static, non-convection oven) or 80°C (fan-assisted oven), DON’T OPEN THE OVEN DOOR FOR THE FIRST 90 MINUTES, and bake for 1 hour and 45 minutes. If they are dry on top and underneath, they’re ready to come out. Otherwise let them stay in there a bit longer. Let them cool completely on a wire cooling rack before filling (they keep for up to 2 weeks in an airtight tin or container in a dry environment). Make this while your meringues are in the oven, as it needs to firm up in the fridge for at least 3 hours (ideally 4 to 5 hours or overnight). Have some extra fruit or cream on the side if you like. If you want an Eaton mess, mash the meringue up. 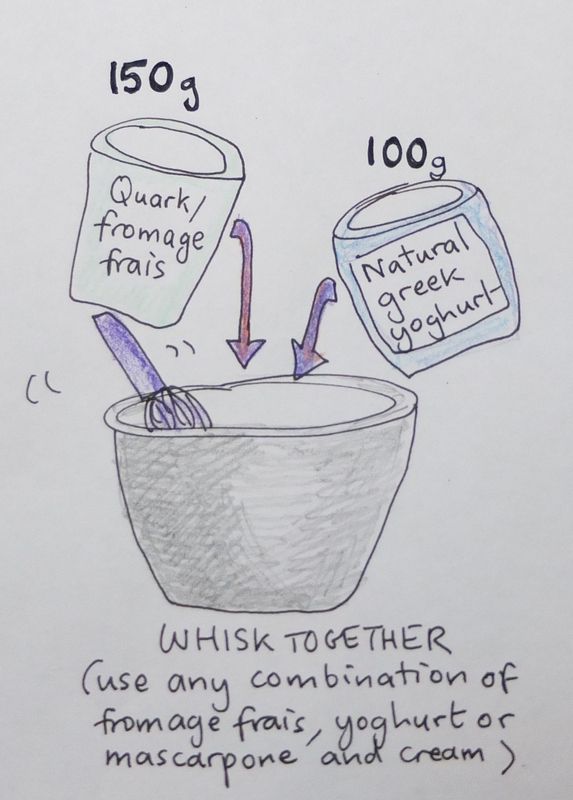 Of course if your meringues were already mashed up, this is definitely the way to go! 🙂 Eat! And you, sweet reader, what are you eating for Chinese New Year, if you celebrate it? Any special dessert? You might find meringue nests useful too one day and create your own meringue nest or Eaton Mess! Let me know if you have any more ideas for fillings. Oooh, I bet some raspberry sorbet or ice-cream would be lovely in there. I absolutely LOVE lychee. A friend has an orchard of them and I love to wander around eating them straight from the tree. This recipe gives me a reason to wait and eat the fruit as part of a dessert. Yum!